Providers of electric, cable, internet & phone services. Pulaski Electric System (PES) is the provider of residential and commercial electric power. Additionally, PES Energize offers phone service, high speed internet and cable television. In its state-of-the-art facility in downtown Pulaski, PES Energize is also a host to secure storage and back up for business and industry online files from around the country. A staff of 64 employees serve the 14,265 PES customers and 3,150 PES Energize customers, whether they are running lines to your home or business or ensuring that your internet and cable services are running as they should every day. President/CEO Richard Kelley assumed the Pulaski Electric System presidency, having joined the staff in 2003 as a part time engineering aide and full time as a staking engineer. During his tenure, he’s worked in a variety of positions throughout PES Energize, including the direction of Engineering, Dispatch, Energy Services and Linemen. PES Energize is governed by a Board of Directors. Meet them HERE. 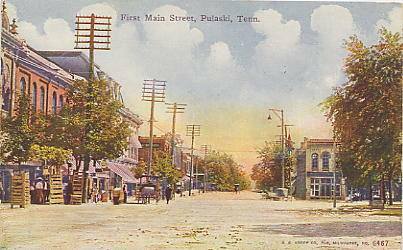 PES was established originally in 1891 as the Pulaski Light Company to provide electricity to the residents, businesses and churches near the public square of Pulaski. By the 1930s the Pulaski Light Company was in demand to expand services to areas outside the city. With the formation of Tennessee Valley Authority, Giles County became the very first public utility to receive its power from the newly created TVA in 1935. PES operated as a Public Utility overseen by a citizens’ Board of Directors. The Board served the 840 customers of the Light Company. 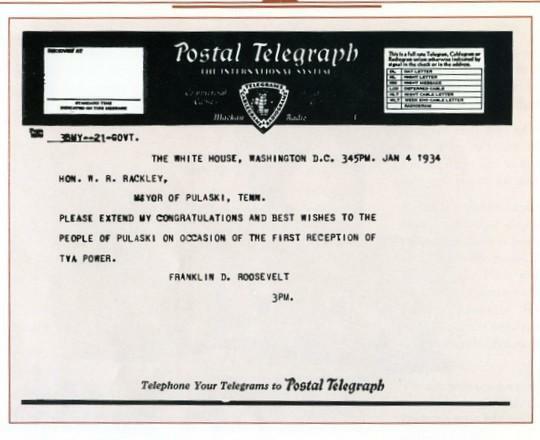 With the purchase of some smaller electric lines and services PES was able to serve customers outside of Pulaski by 1939. By 1946 the Board of Mayor and Aldermen had approved the construction of 400 additional miles of electric service for rural areas of Giles County. 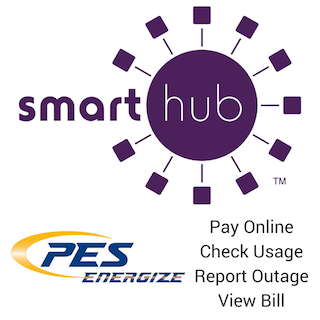 In 2007 the Pulaski Electric System added “PES Energize” to its name signaling a new division of PES, which includes home and commercial services for the 100% fiber optic based phone, internet and cable offered. The construction of the PES Energize facility at 128 South First Street in Pulaski generated a new opportunity to expand service through development of a data storage facility that enables businesses from around the world to purchase storage space in the facility’s bunker-like, weather secure building. Today, the PES Energize Board and its leadership are working diligently to anticipate the county’s growth and future needs for power, communications and entertainment. We hope you will enjoy this gallery of vintage photos from our archive at Pulaski Electric System. There are photos of special events, old newspaper clippings, local businesses as they added new electric lighting, Pulaski’s Courthouse Square over the decades and more. 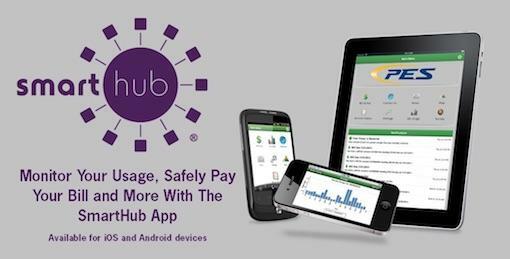 Click on the displayed image to advance to the next slide. In this historic postcard picturing the Pulaski Courthouse Square as viewed from the north, looking down South First Street, the electric lines are clearly visible. You’ll note that this telegram is dated 1934 instead of 1935. The actual date is 1935, so this was just a human error by someone who had not quite adjusted to dating documents for the new year!